Kampen om Saab is an interesting portrayal of the events surrounding Saab Automobile during one of the most turbulent years in Saab's history. The book describes the time between the end of 2009 to the end of 2010 and talks about Koenigsegg and Spyker's struggle to buy the company. 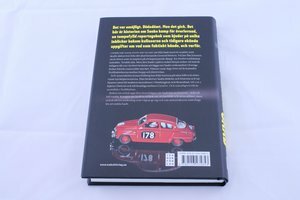 The book is written by Jonas Froberg, motor journalist at Swedish newspaper Svenska Dagbladet. Only available in Swedish version.